Megha Tata joins Discovery from Business Television India (BTVI) where she was spearheading India business. She is a veteran of the media & entertainment industry. 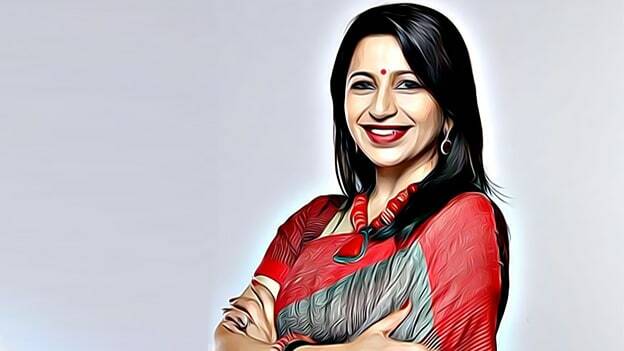 Discovery Asia Pacific has appointed Megha Tata as Managing Director – South Asia, Discovery Communications India, effective April 1, 2019. Megha Tata joins Discovery from Business Television India (BTVI) where she was spearheading India business. A veteran of the media and entertainment industry, Megha has received multiple industry accolades in an illustrious career spanning more than 28 years. She has held leadership positions across eminent broadcasters such as BTVI, HBO, Turner International, and STAR TV. Megha Tata will be based in Mumbai and report to Simon Robinson, Managing Director, Discovery Asia Pacific and Chief Financial Officer, Discovery International. Speaking on the occasion, Megha Tata, said, "Having been a passionate superfan of Discovery myself, I am really excited to lead Discovery’s mandate in the region. I look forward to working closely with the India management team to help build an aggressive growth path for the company in this rapidly changing media landscape." Discovery Communications India has a portfolio of 13 channels including Discovery Channel, Discovery HD World, Animal Planet, Animal Planet HD World, TLC, TLC HD World, JEET Prime, JEET Prime HD, Discovery Science, Discovery Turbo, Discovery Kids, Discovery Tamil, and a premium sports channel DSPORT.